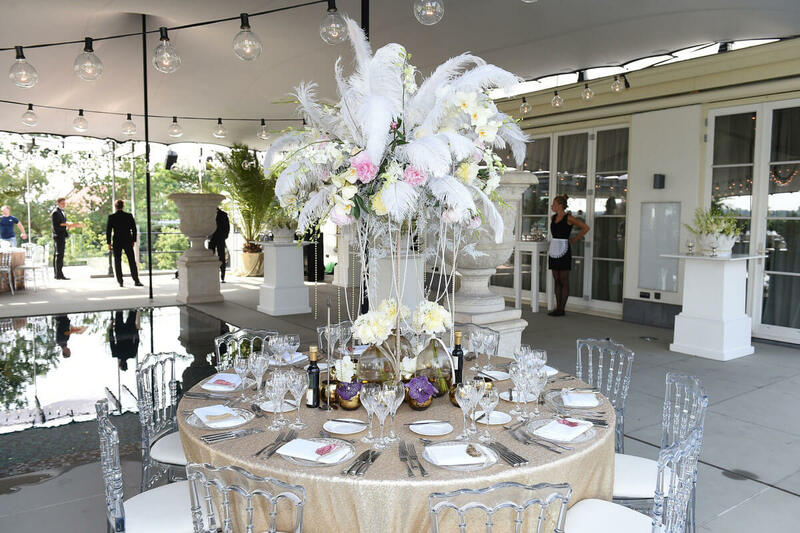 A Russian supermodel hosted a Gatsby-themed party in Amsterdam in celebration of her 30th birthday. 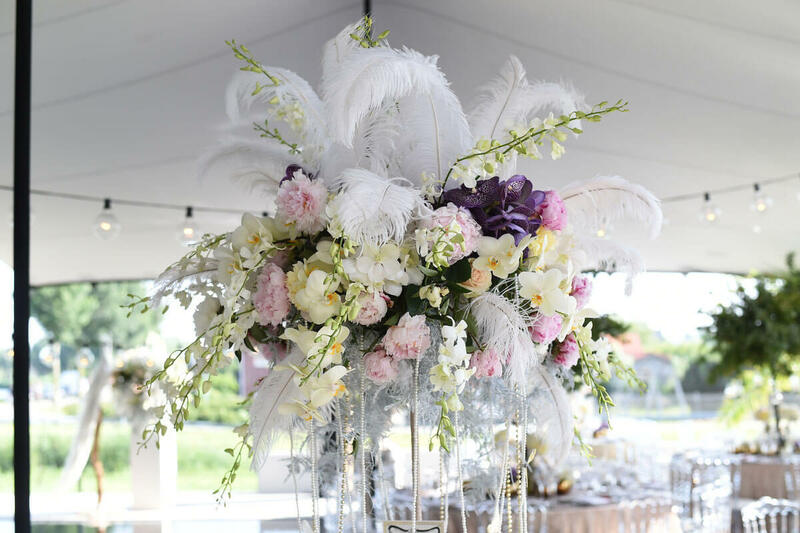 The Wunderkammer combined feathers and pearls with her favourite flowers to create a roaring twenties look for the table settings. 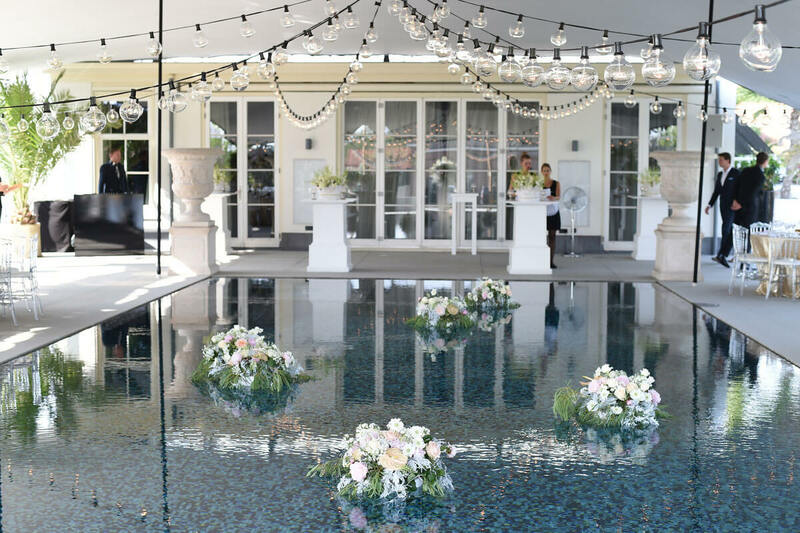 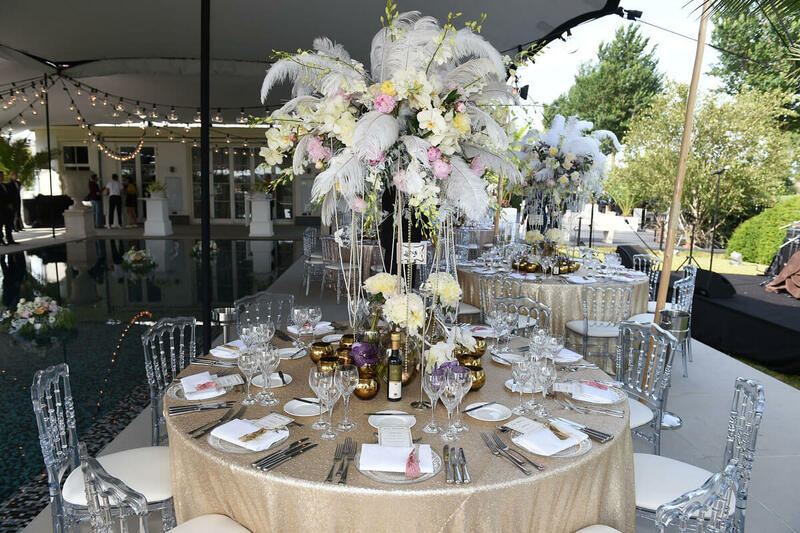 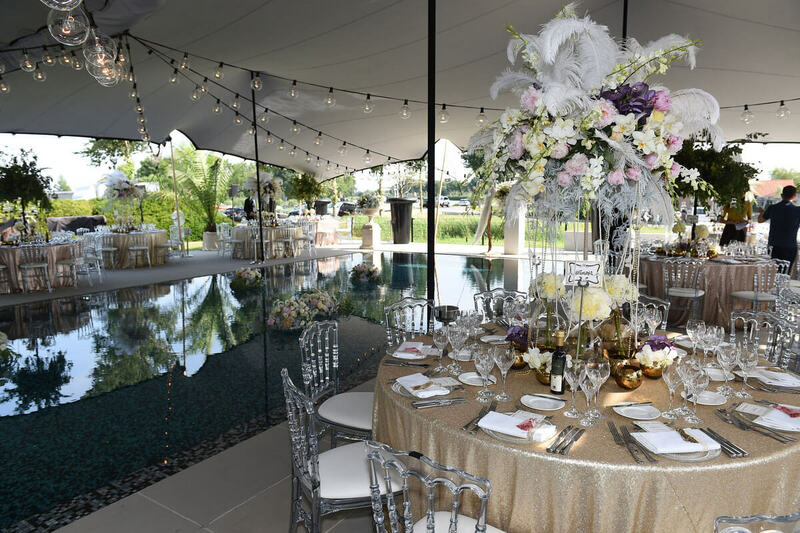 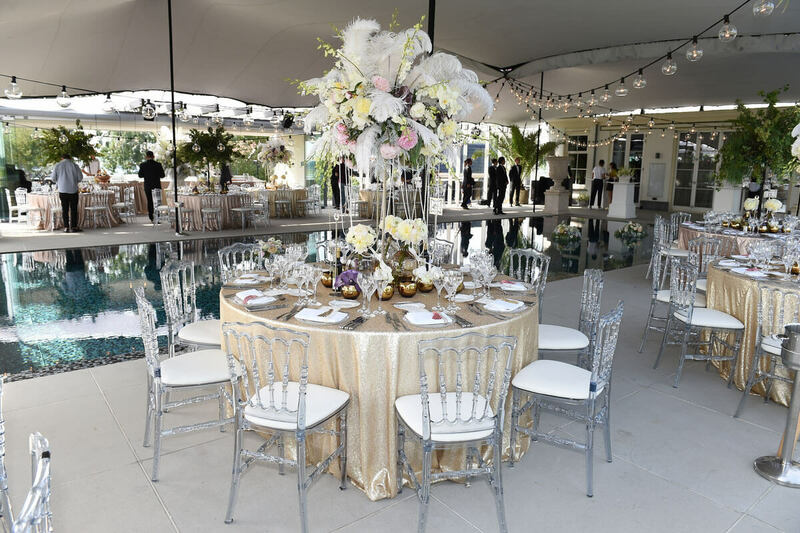 Bouquets were added to the pool and large flower arrangements adorned the garden.